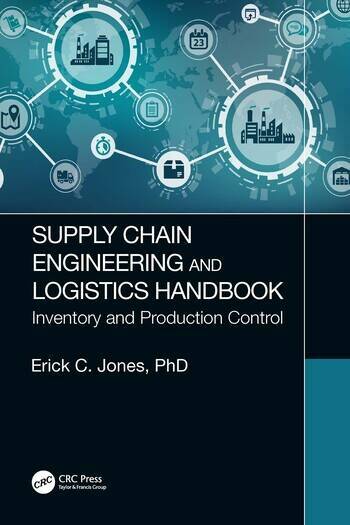 This handbook begins with the history of Supply Chain (SC) Engineering, it goes on to explain how the SC is connected today, and rounds out with future trends. The overall merit of the book is that it introduces a framework similar to sundial that allows an organization to determine where their company may fall on the SC Technology Scale. The book will describe those who are using more historic technologies, companies that are using current collaboration tools for connecting their SC to other global SCs, and the SCs that are moving more towards cutting edge technologies. This book will be a handbook for practitioners, a teaching resource for academics, and a guide for military contractors. Some figures in the eBook will be in color. Introduction. Global Supply Chain Engineering Definitions. 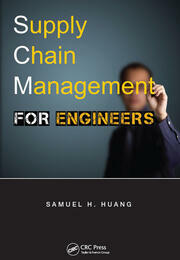 History of Global Supply Chain Manufacturing and Management. How Factory Dynamics and Little’s Law Moved Manufacturing to Supply Chains. How Total Quality Management and Lean Six Sigma Drove the Need for Supply Chain Integration. How Integration Strategies Moved Expanded Supply Chain to Enterprise. Working with Enterprise Resource Planning Systems. Outsourcing and the Growth Service, Logistics, and Operations Research. 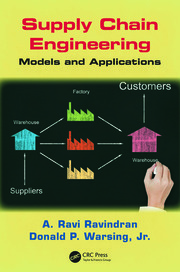 Warehousing, Distribution, and Logistics Engineering Expands Because of Outsourcing. Transportation and Network Engineering Expands Because of Outsourcing. The Internet of Things and the Tracking of Supply Chain Assets. The Innovation Path and Distributed Manufacturing (Citizen Science, Maker Movement, and Advanced Manufacturing). Current Research Trends. Erick C. Jones earned his B.S. in industrial engineering from Texas A&M University, College Station, Texas, in 1993 and his M.S. and Ph.D. in industrial engineering from the University of Houston, Houston, Texas, in 1996 and 2003. He is an associate professor at the University of Texas at Arlington, Arlington, Texas. He serves as the director of the RFID and Auto-ID Deployment Labs, University of Texas at Arlington, Industrial and Manufacturing Systems Engineering (IMSE), Arlington, Texas, and is currently the deputy director of the Security Advances via Applied Nanotechnology (SAVANT) Center, University of Texas at Arlington. He has held positions in industry, which include engineering specialist at UPS, engineering director at Academy Sports and Outdoors, engineering consultant and project manager at Tompkins Associates and executive manager at Arthur Anderson, LLP. He has managed teams as small as three people and as large as 500 people. The projects he has executed include implementing ERP system modules, designing and constructing new facilities and reengineering fortune 1000 organizations. The operations he has managed include a large-scale distribution operation and human resource department at an executive level. Dr. Jones' expertise has led to becoming an expert in the field of supply chain optimization, distribution logistics, and inventory control. His unique background led him to one of the first and largest academic RFID labs in the country. 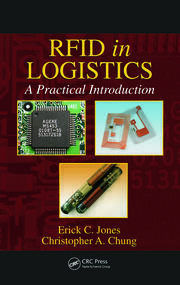 He has published one textbook on RFID and has edited two industry manuals on the subject. In addition, his lab has been part of the industry academic consortium, which focuses on logistics and is sponsored by the National Science Foundation, for several years. Dr. Jones' current focus is on RFID research for the U.S. Department of Transportation, the Department of Defense Transportation Command, and NASA JSC. His research interests include RFID, RTLS, and satellite technology development and testing with respect to inventory control. Other research areas include supply chain logistics, six sigma quality engineering management, and knowledge worker turnover.